Dell's thumb-sized PC called Project Ophelia, which is the size of a USB stick, will start shipping in July for around $100. The Android-based device will plug into a display's HDMI port so that it can run applications or access files stored remotely. It will have Wi-Fi and Bluetooth capabilities and is aimed at users who do most of their computing on the Web. 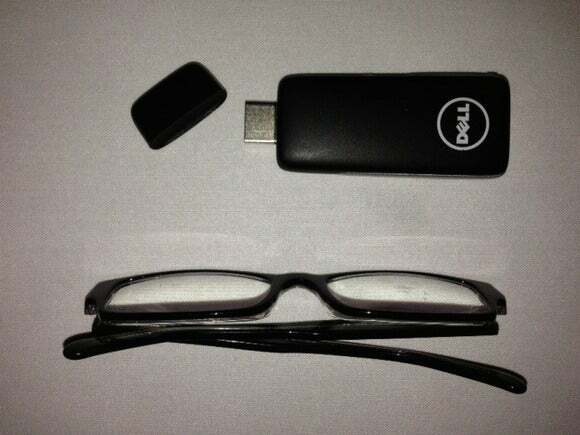 Ophelia can turn any screen or display into a PC, gaming machine or a TV set-top box, said Jeff McNaught, executive director of cloud client computing at Dell. Users will be able to download apps, movies and TV shows from the Google Play store, McNaught said. Users will also be able to run Android games or stream movies from Hulu or Netflix. It is meant to be an inexpensive alternative to tablets and PCs, McNaught said. However, users need to be close to a TV screen, display or projector with an HDMI port to use it. The company is working on a keyboard-like technology for users to type when Ophelia is docked to a screen, he said. Dell will demonstrate Ophelia on 19-inch and 55-inch screens at next week's Citrix Synergy conference in Los Angeles. It was introduced in January at the International CES show. Ophelia will also come with Wyse's PocketCloud, which allows users to access files stored on PCs, servers or mobile devices. Other improvements being implemented will include usability of the device. "We've done a number of things in the software of the product and outside that will make it interesting," McNaught said. The first units will ship to developers who may want to write Android apps for Ophelia. In August, it will be available via cable companies or telecom providers that may want to offer it with cable packages or data plans. Shortly after, it will be available to consumers on Dell's website. Dell is also pitching Ophelia to enterprises as a pocket-sized thin client, McNaught said. A set of features will allow IT administrators to manage and secure the device. For example, it could be wiped clean if it is lost. The feature set, called cloud client manager, will allow system administrators to see where users are and what they are doing with Ophelia. "We want to make sure when we release the product that it's perfect. The enterprise is one market we understand," McNaught said.